THE Morrison Government’s conditional pre-election Federal Budget for 2019-20 has been welcomed by the nation’s farming bodies with some reservations, but condemned by the Opposition as “a con” and indicating no strategic plan by the Liberal-Nationals Coalition for the sector. 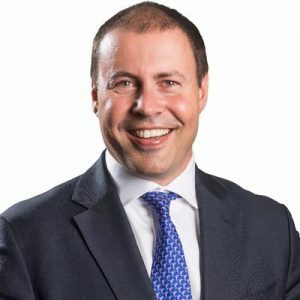 Most of the Federal Treasurer Josh Frydenberg’s budgetary initiatives depend on the re-election of the Liberal-Nationals Coalition in the coming Federal Election, expected to be held next month. Minister for Agriculture and Water Resources David Littleproud said with $29.4 million worth of measures that target sectors with high export growth potential, the government continues to target investment where it would bring the biggest boost to agriculture. “This investment will get Australian food and fibre to more customers around the world,” he said. 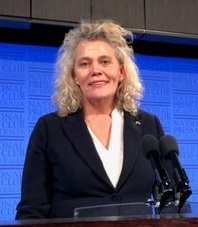 National Farmers’ Federation president Fiona Simson said the Budget showed the government continued to support the NFF’s vision for agriculture to be a $100 billion industry by 2030. Budget initiatives supporting this included a $34 million Agriculture Stewardship Package, increased regional road and telecommunications infrastructure spending, trade and market access initiatives and tax rate and write-off changes, she said. Ms Simson also welcomed promises of ongoing funding for the Australian Competition and Consumer Commission’s Agriculture Unit, a commitment to expand and promote the Seasonal Worker Programme and proposed drought response and preparedness spending. The Federal Budget’s agriculture commitments include expansion of the instant asset write-off, which allows businesses to write off assets — such as tools or equipment — against their taxable income. The write-off will now cover purchases under $30,000, up from $25,000, and can be used by businesses with annual turnover of under $50 million, up from a $10 million limit previously. The Coalition also intends to lower the corporate tax rate for companies with annual turnover of less than $50 million from 27.5 percent to 26pc next year and to 25pc starting in 2021-22. It is expected to benefit around 970,000 companies, according to NAB. The current Federal Government has also committed $3.1 billion over five years in a North Queensland Flood Recovery Package to support the North Queensland livestock industry. The proposed drought relief includes up to $1.75 billion for financial institutions to provide interest rate relief for business loans to flood-affected primary producers, $1 billion in loans through the Regional Investment Corporation to assist with damaged crops, restocking and on-farm infrastructure, with $300 million in primary producer grants to assist with damaged crops, restocking and on-farm infrastructure. The grants for restocking, replanting and infrastructure are to be capped at $400,000 per producer. The Federal Government has also said the Future Drought Fund will use $3.9 billion in uncommitted funds from the Building Australia Fund. It expects the value of invested funds to grow to $5 billion over the next decade and $100 million in disbursements will be available from the fund per year from 2020-21. Up to $150 million will be available annually from 2019-20 from the already announced Emergency Response Fund for natural disaster recovery, along with $130.5 million over the forward estimates to reduce the risk and impact of disasters. The Coalition has also committed $29.4 million to improve industry access to export markets, including $6.8 million over four years to extend the Agricultural Trade and Market Access Cooperation. Ms Simson said the government’s commitment of $160 million for a fifth and sixth round of the Mobile Blackspots Program and $60 million to improve the NBN Sky Muster experience will go a long way to providing farmers and all regional Australians with equitable access to connectivity. The NFF also welcomed welcomed $1.9 million for an analysis of the future farm workforce. Despite a $2.9 million commitment to act on recommendations to enhance Australia’s world-class rural research and development system, the NFF cautioned against weighing the process down with further bureaucracy. Ms Simson said the government had continued its support for farmers as they manage and prepare for drought, with $4.2 million to enhance the National Drought Map and develop drought indicators, plus improvements to the Farm Household Allowance program. However, the NFF said notable omissions included genuine action on an agricultural visa and a commitment to develop a National Agricultural Strategy. “Farmers are leaving produce on the vine to rot because they just can’t source the workers they need. “It’s time the government stopped pontificating on this one and delivered the known solution in the form of an ag visa,” she said. “The con extends into the agriculture portfolio, it has stuck with the same old tricks: money stolen from other areas of regional investment, more concessional loans and big headlines about the capital value of those loans, most of which will never be allocated. “Farmers will know that these are hollow promises,” he said. 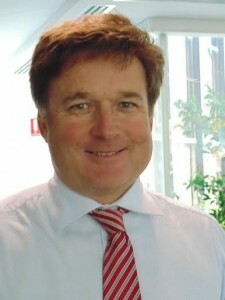 Mr Fitzgibbon said the Morrison Government is still without an overarching strategic plan for Australia’s agriculture sector. Mr Fitzgibbon said drought-affected farmers on the Farm Household Allowance will also be shaking their heads as the government makes yet another attempt to get the FHA right. “The government says it will spend $3 million in 2018-19 to exempt net income from the forced sale of livestock from the FHA payment assessment as long as the farmer puts the funds into a Farm Management Deposit. “This will do nothing to put cash on the table when farmers need it most,” he said. “This measure hasn’t been legislated and we are only four months away from the end of the financial year and heading into an election. “According to the Budget papers the measure extends into 2019-20, but the Morrison Government has put only $100,000 on the table,” Mr Fitzgibbon said. 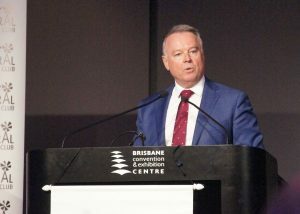 Mr Fitzgibbon said after six years the government has finally acknowledged workforce shortages are the agriculture industry’s biggest challenge, but its response is vague at best. He said new programs to overcome non-tariff barriers to export markets are a belated admission that while free trade agreements have been completed, market access to many countries remains elusive for many commodities. Mr Fitzgibbon said the much-anticipated Biosecurity Import Levy which was to provide needed additional funding for our critical biosecurity systems has been deferred until 1 September 2019 and this will hit the budget bottom line by $20 million. NSW Farmers president James Jackson said listed drought support, the farm household allowance extension and proposed infrastructure spending as positive budget commitments. Mr Jackson said reducing the tax rate for small and medium-sized companies with an annual turnover of less than $50 million and expanded access to an instant asset write-off is also good news. But he said the ACCC Agriculture Unit had only been funded for one year. “While the budget does include some measures to help recruit seasonal labour, no news regarding an agricultural visa is disappointing. “It’s a practical solution to improving access to labour, particularly in the horticulture sector,” he said. In Queensland, AgForce general president Georgie Somerset welcomed the Federal Budget’s flood and drought support commitments, and said its measures demonstrated solid support towards agriculture becoming a $100 billion industry by 2030. 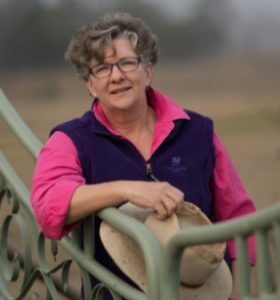 Mrs Somerset said AgForce also welcomed the tax and asset write-off changes, the market access funding and the promise of up to $100 billion over 10 years for roads, rail and telecommunications infrastructure. “The $220 million to improve mobile phone and internet coverage in regional and remote areas will improve lifestyle, health and business opportunities for our producers and their families. However, Mrs Somerset said the budget missed an opportunity to acknowledge and more strongly support the industry’s contribution to reducing carbon emissions, enhancing sustainable food and fibre production, and ensuring food security. Mrs Somerset said initiatives to reward producers for ‘storing’ carbon on their properties was a very welcome, but belated, acknowledgement of the role of farmers in managing landscapes and climate change, but much more needed to be done. “The $34 million promised over four years for the Agriculture Stewardship Package is a long-awaited first step to reward farmers for the environmental outcomes they deliver in reducing Australia’s carbon emissions. “After years of operating under onerous vegetation management laws we welcome this initiative and look forward to working with governments on further expanding these types of ecosystem services payments models,’ she said. WoolProducers Australia has welcomed the budget’s forecast surplus next year, its drought and flood support measures and the infrastructure commitments. WoolProducers Australia president Ed Storey said the accelerated depreciation measures enable small businesses with a turnover of less than $50 million to immediately deduct asset purchases under $30,000. “This measure encourages these businesses to immediately invest in capital expenditure such as fencing, tanks, and feed silos,” he said. “Improvements to regional telecommunications was another key theme of WoolProducers pre-budget submission, as reliable and affordable telecommunications is important for farming families in order to access the digital economy for their business, education, health and social needs,” Mr Storey said. The Department of Agriculture and Water Resources portfolio budget statements are available at agriculture.gov.au/about/reporting/budget. To read the complete Budget papers click here.